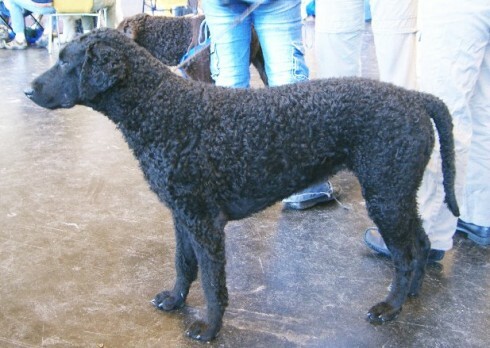 The Curly-Coated Retriever, probably one of the oldest retriever breeds, is not simply a Labrador with curly hair. He is a distinct breed with his own personality--sensitive, intelligent, curious, and family-loving. Like all retrievers, he loves his daily exercise, especially running and swimming. The Curly behaves like an energetic puppy and may settle down as late as four years of age, though he's a puppy at heart forever. 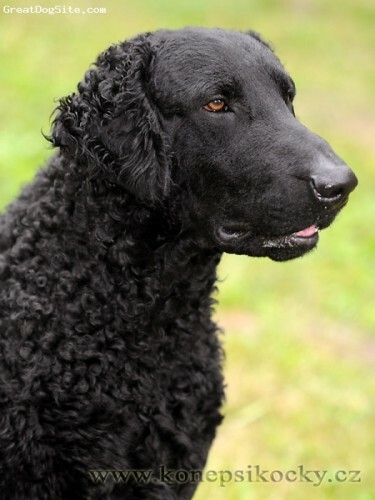 The Curly-Coated Retriever is one of the oldest breeds classified as retrievers. 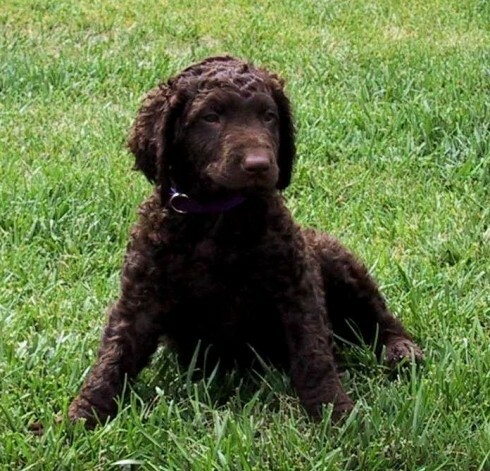 The breed is believed to have been descended from the 16th century English Water Spaniel, Retrieving Setter and possibly the Irish Water Spaniel. 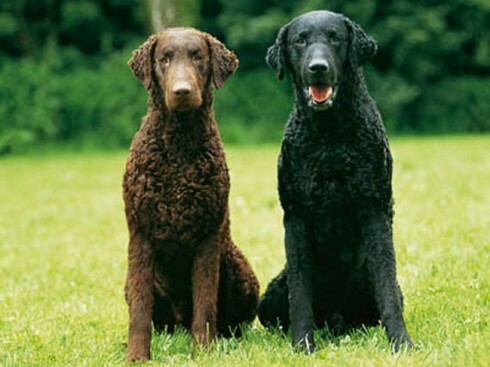 The first breed club for the Curly-Coated Retriever was formed in England in 1896. 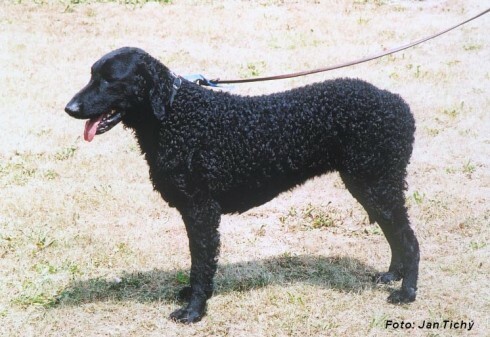 So you want to own a Curly-Coated Retriever? 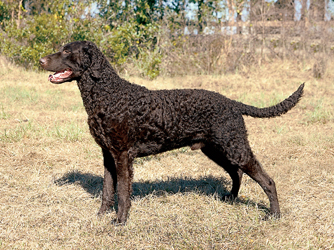 The Curly-Coated Retriever has an easy to care for coat. It's curls stay in place with little to no attention. 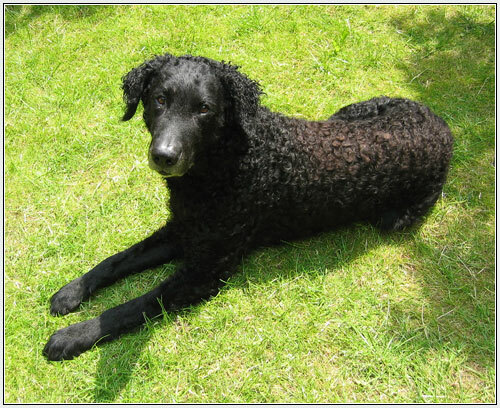 The Curly-Coated Retriever's curious nature may lead him to many amusing escapades that call for an owner with a sense of humour. 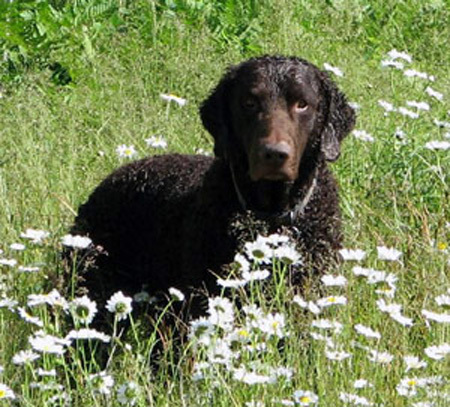 The Curly-Coated Retriever learns rapidly and performs willingly almost any task. Large, not prominent, oval-shaped, obliquely set. 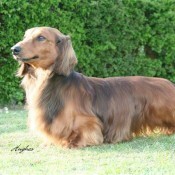 Dark brown in blacks, in livers brown tone to blend with coat colour.